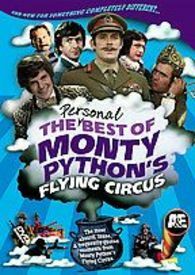 This six-disc box set features the greatest hits of the immortal classic, Monty Python's Flying Circus. The contents of each of the discs was chosen and is introduced by one of the six Pythons and features their personal favorites, which, taken together are sure to encompass a solid majority of anyone's faves, including yours. Want to see for yourself? Here's the complete listing. OK, now that that's over and done with, feast your eyes on our amazing special price below. This is is a perfect opportunity to reacquaint yourself witih this classic, or, better yet, introduce it to someone new.